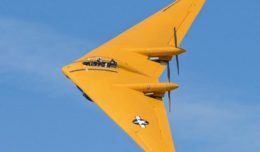 The U.S. Air Force has awarded Northrop Grumman a $265 million contract for aircraft maintenance and logistics support of the BACN system. The U.S. Air Force has awarded Northrop Grumman a $265 million contract for aircraft maintenance and logistics support of the Battlefield Airborne Communications Node (BACN) system. BACN is a high-altitude, airborne gateway that translates and distributes voice communications, and other battlespace information from numerous sources. The system bridges the gaps between those systems and extends communications among disparate users and networks to provide improved situational awareness. The maintenance and specialized skills for this contract will be in support of four BACN E-11A aircraft operations. The work is a continuation of an existing five-year maintenance contract which ends in January 2018. This new award is a base year contract with four option years. Northrop Grumman’s approach to maintaining the E-11A fleet utilizes an affordable and proven contractor logistics support team. This team employs highly-streamlined reporting and supply chain tools that minimize parts delivery and downtime. 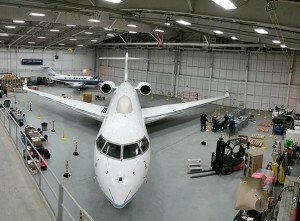 Northrop Grumman’s aircraft maintenance work will include identifying subcontractor support, determining levels of aircraft repair, and assessing repair times, ground support equipment and tooling requirements.